Join us as project student! Participate and strengthen our organization ! Every year Humasol sends students to the South to support projects on renewable energy, water and sustainable technology. Do you also want to contribute to a better world by carrying out a project or supporting our organization? 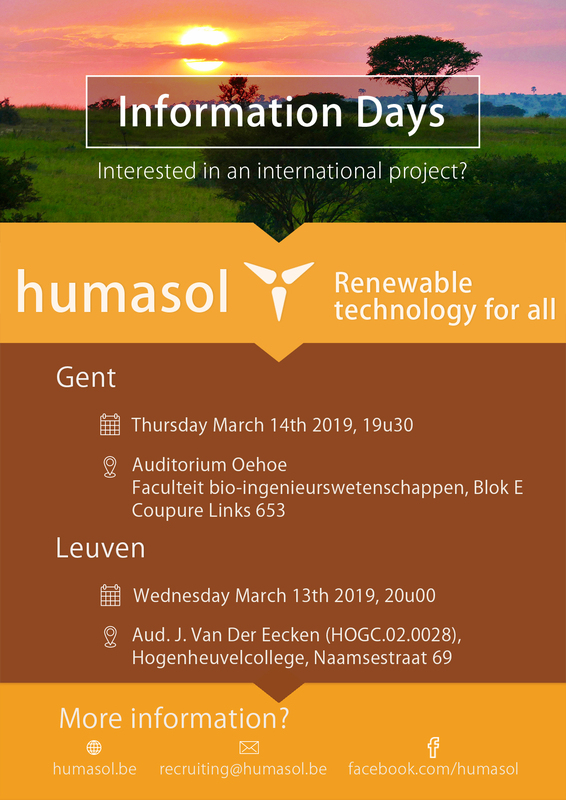 Then come to the Humasol information days on March 13 in Leuven and on March 14 in Ghent.